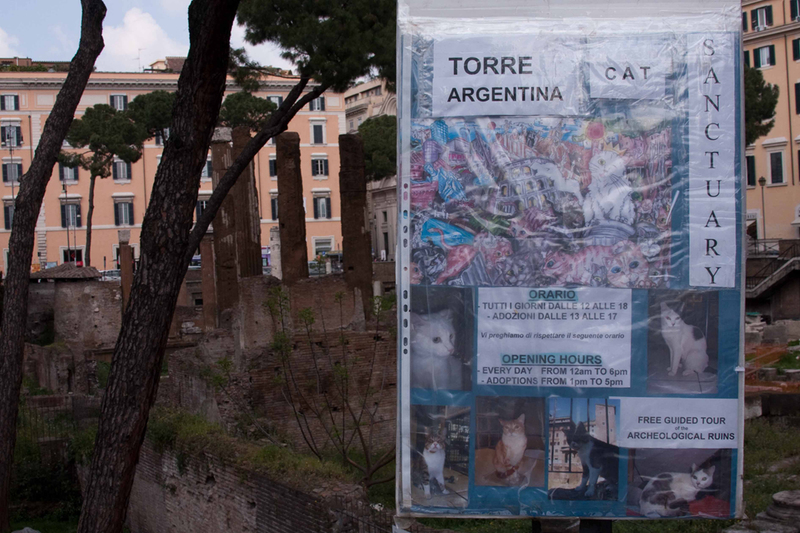 After the Pantheon we wandered down to Largo di Torre Argentina, most famously known for being the spot where Caesar was assassinated and the home of a very cool cat sanctuary. Largo di Torre Argentina is a square in Rome that hosts four Republican Roman temples, and the remains of Pompey’s Theater. 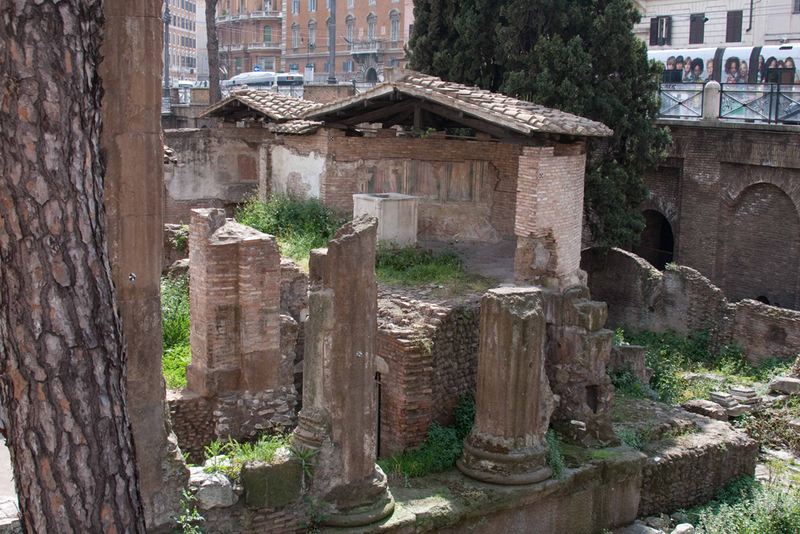 It is located in the ancient Campus Martius. 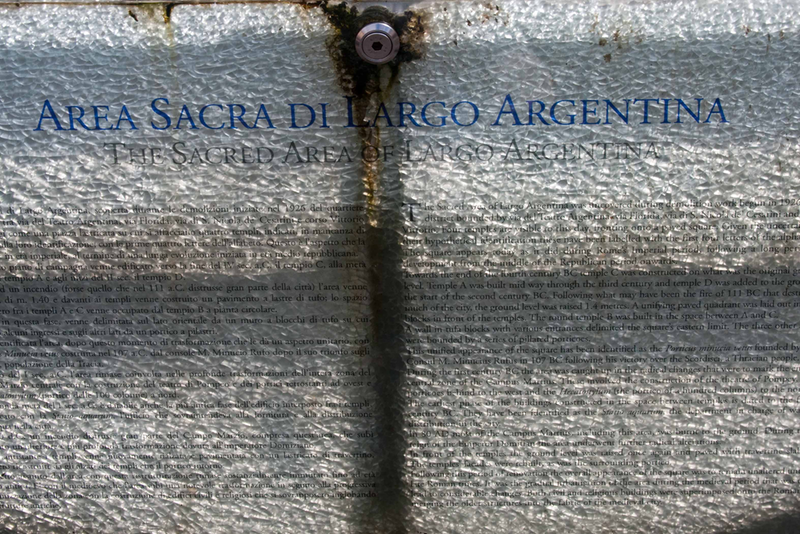 The name of the square comes from the Torre Argentina, which takes its name from the city of Strasbourg, whose original name was Argentoratum. In 1503, in fact, the Papal Master of Ceremonies Johannes Burckardt from Strasbourg built in via del Sudario a palace (now at number 44), called Casa del Burcardo, to which the tower is annexed. The other tower in the square is not the one giving the name to the place, but the Medieval Torre del Papitto (“Little Pope’s Tower”), attributed by tradition to Antipope Anacletus II Pierleoni, allegedly not a tall person. After Italian unification, it was decided to reconstruct part of Rome (1909), demolishing the zone of Torre Argentina. During the works (1927), however, the colossal head and arms of a marble statue were discovered. 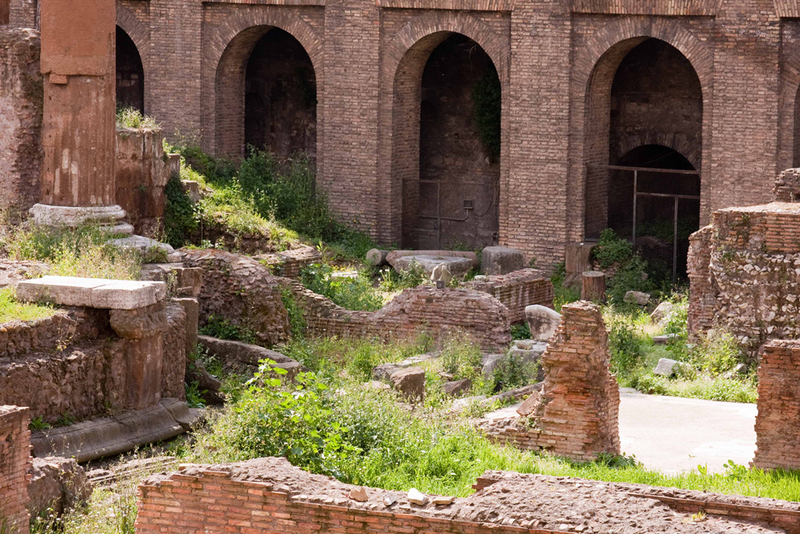 The archeological investigation brought to light the presence of a holy area, dating to the Republican era, with four temples and part of Pompey’s Theater. 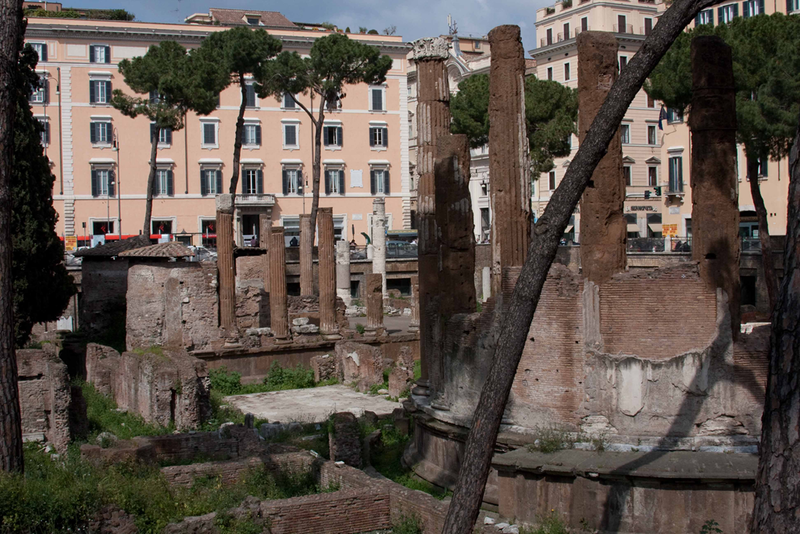 Julius Caesar was killed on the steps of the Theatre of Pompey, and the spot he was believed to be assassinated is in the square. One of my ‘too-be-read’ books is Stanley Bings Rome Inc: The Rise and Fall of the World’s First Multinational Corporation (when I get a vacation). As an aside, I was loading up a few pictures for my son to take to school for the first week and one that I pulled was their standing on top of Hadrian’s wall, the northern most border of the Roman empire between England and Scotland. Truly amazing empire. It is a pretty amazing place. Opened up right in the middle of the roads, you look down on the temple ruins. I think this is where Caesar was killed? And at one end you descend the stairs to the Torre Argentina cat sanctuary run by volunteers. We spoke to a wonderful American lady, on a life adventure who worked there. 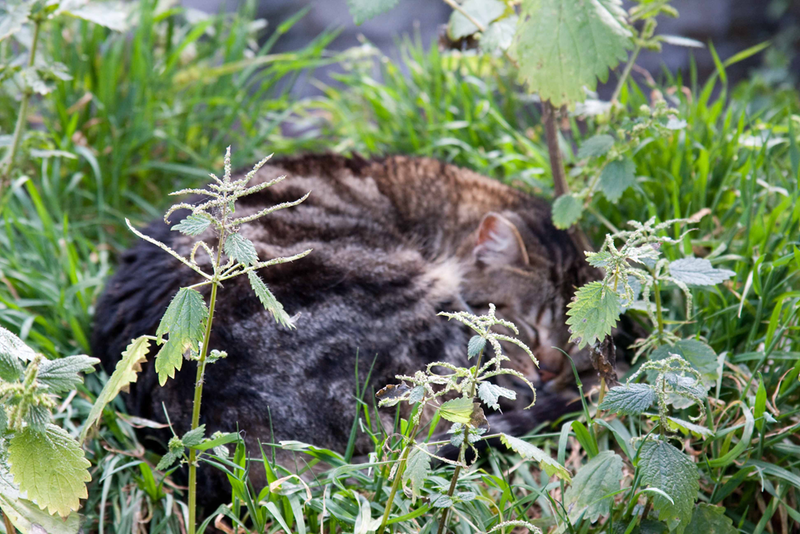 Cats meander everywhere, free to roam in the sanctuary or among the ruins. A wonderful sight. 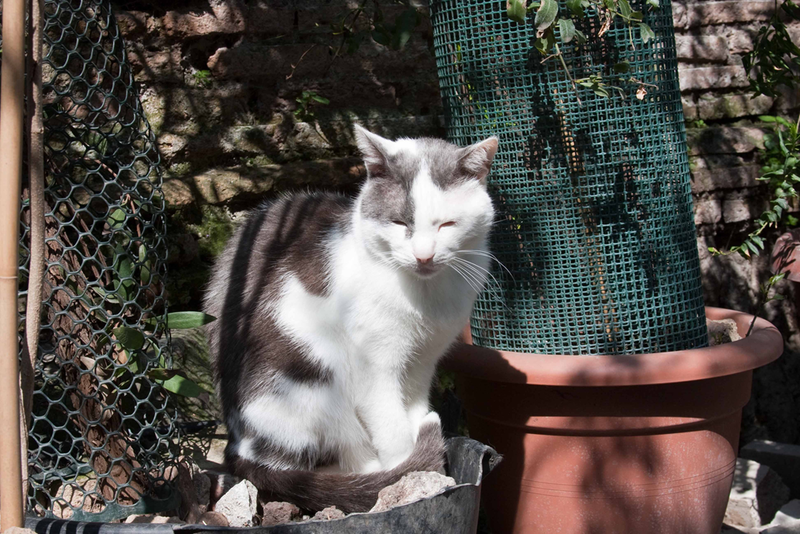 We ended up staying for a while to pet the extremely friendly cats … we are a huge animal loving family and with 250 cats running around, there was no shortage of friends to say hi to. This fellow was quite enjoying the sun and the ruins. Who wouldn’t? 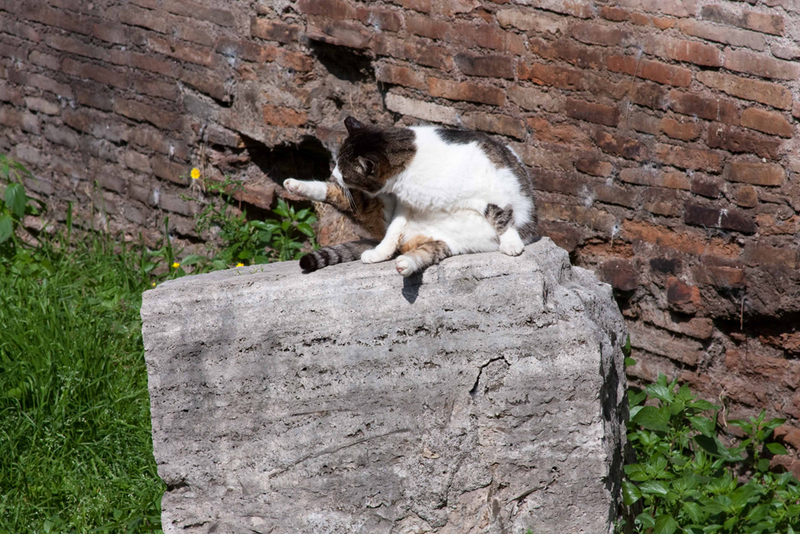 This entry was posted in Travel and tagged Cat Sanctuary, Ceasar assasination, Ceasars death, Italy, Largo di Torre Argentina, Rome, Sacra Di Largo Argentina, Torre Argentina by michaelweening. Bookmark the permalink.